The American Prize honored our first Grammy Award-winning TAP laureate earlier this year. 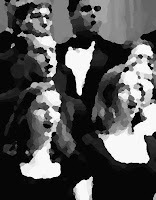 (The choral ensemble Roomful of Teeth won a Grammy in 2014 and The American Prize in 2010). Although most of us may never win a Grammy, or a Pulitzer, a Tony or an Academy Award, or may never even be nominated, that does not mean that the music we make is unworthy of national recognition and reward. I am proud to be chief judge of the The American Prize—because it is the national competition for the rest of us. We all know that excellence in the arts is not restricted to the famous names, or limited to a single city on either coast, or reserved only for the top graduates of the most prestigious schools. It is not necessary to be well-connected to achieve greatness. In America, it is not location nor pedigree, but talent, love of the art, hard work and commitment that makes the difference. During my career, I have had the privilege of guest conducting orchestras, choruses, bands and opera companies all over the country—not just professionals, but school, church and community ensembles, and not only in big cities. Whether in the deep south, the far west, the heartland, or on the coasts, I have encountered inspiring artists entertaining audiences, educating young people, enriching communities and contributing to the quality of life. Maybe you are one of them. If only The American Prize had existed a little earlier in my career! When I was conducting a community orchestra and a church choir in Hartford, Connecticut, I would have applied. I would have wanted to know how my groups stacked up to similar ensembles elsewhere in the country. Were we really as good as I thought we were? When I was leading a youth orchestra in Elgin, Illinois, and a community chorus in Libertyville, I would have applied. I thought some of my programming choices were inspired. Would conductors from across the country think so, too? When I was music director of a professional orchestra in a tiny town in Southern Michigan, I would have applied. In Adrian, my symphony roared through some of the greatest pieces ever written, and the audiences roared back their approval. I wanted people all across the country to know what amazing things we were doing—how well—and where. And for more than thirty years, I’ve also conducted an orchestra of lawyers in Chicago. Of course, I would have applied. Because, what if we had won? What if your audience, donors or membership woke up to the news that you had just won The American Prize, judged to be the finest in the country in your category, chosen by an impartial judges—experienced professionals from all across the United States? There would be prize money, of course, but more important would be the bragging rights, to be emblazoned next year on your brochure and on your website and social media, or printed in your church newsletter, or announced at the next faculty meeting. There would be the award certificate hanging proudly in your rehearsal room, office or auditorium lobby; there would be articles in newspapers and magazines pointing to your winning performances, all linked on The American Prize website. If winning The American Prize might help you sell more tickets, or build your base of donors, or aid recruitment, or enhance your resume, or solidify your position, or add to your press coverage; if you have wished there were a way for your work to be recognized by someone in addition to your audience, board, parents or pastor; if winning might be the shot in the arm you and your group needs, reminding everyone in your community that what you do every day matters profoundly—then you should apply. The American Prize is here to stay. It is an annual competition that is going to continue to grow in visibility and prestige. Again this year, somebody (a group of somebodys) is going to win The American Prize and be recognized for artistic achievement. Why not you? David Katz is chief judge of the non-profit The American Prize. 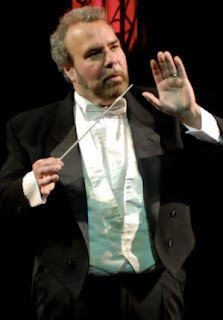 Professional conductor, playwright and actor, award-winning composer and arts advocate, he believes deeply in the mission of The American Prize to recognize and reward excellence in the arts wherever in America it is found. An invitation to STAGE DIRECTORS & THEATER COMPANIES to participate in The American Prize competitions, 2014, to earn the recognition and reward you have worked so hard to achieve. If you're a stage director, you and your ensemble have recordings. The American Prize wants to see them. Since 2010, The American Prize has provided evaluation, recognition and reward to America’s finest performing artists and composers. The American Prize is unique—the only national, nonprofit competitions in the performing arts based solely on the evaluation of commercial and noncommercial CD and DVD recordings. The American Prize has awarded more than $25,000 in prize money in all categories since 2010. No live competition. The American Prize judges recorded performance only. Separate divisions for professional, college/university, community, or high school age companies & their directors. Written evaluations to all contestants who rank “finalist” or higher. Personalized certificates to all participants. Published timelines for the announcement of semi-finalists, finalists and winners. Winners of The American Prize receive cash awards, award certificates, and unbiased written evaluations from our national panel of distinguished judges, but more importantly, laureates of The American Prize at all levels of achievement derive local, regional and national recognition to help them generate jobs, build audiences and sustain careers. In an age when the performing arts are more marginalized than ever before and media coverage harder than ever to get, The American Prize provides its contestants with the visibility and recognition they need to stand out from the rest. Send bio and photo by email. Send CD, DVD or VHS tape by mail. All applications are acknowledged upon receipt. You need not prepare a special recording for The American Prize. A previous recording, whether of a concert made in front of an audience or one created in a recording session without an audience, is perfectly acceptable. 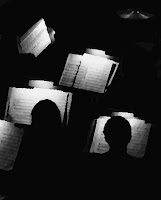 Neither the location nor the repertoire of any qualified individual or ensemble limits eligibility, provided the general guidelines have been met. Excellence within categories is the primary criteria for the selection of finalists and winners. The competitions are open to US citizens living in this country or abroad and others studying or working in the U.S. There is no restriction against previous winners re-applying. The American Prize is administered by Hat City Music Theater, Inc., a 501(c)3 nonprofit organization. 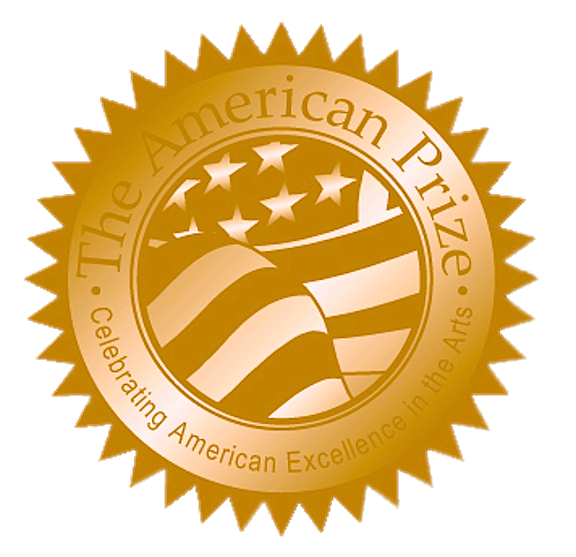 An invitation to ARTS ADMINISTRATORS to participate in The American Prize competitions, 2014, to earn the recognition and reward you have worked so hard to achieve. If you're an arts administrator, you market your artist’s performances. The American Prize wants to see your campaigns. Separate divisions for professional and community organizations. Winners of The American Prize receive cash awards, award certificates, and unbiased written evaluations from our national panel of distinguished judges, but more importantly, laureates of The American Prize at all levels of achievement derive local, regional and national recognition to help them generate jobs, build audiences and sustain careers. In an age when the performing arts are more marginalized than ever before and media coverage harder than ever to get, The American Prize provides its contestants with the visibility and recognition they need to stand out from the rest. Send materials by mail. All applications are acknowledged upon receipt. The American Prize is here to stay. It is a series of annual, non-profit competitions that is going to continue to grow in visibility and prestige. In recent weeks, The American Prize has received a fascinating array of applicants from coast to coast, and we anticipate many more. Perhaps yours will be among them. It would be a pleasure to sample your students’ (and your) excellent work. The deadline for the current round of competitions is April 7, 2014.